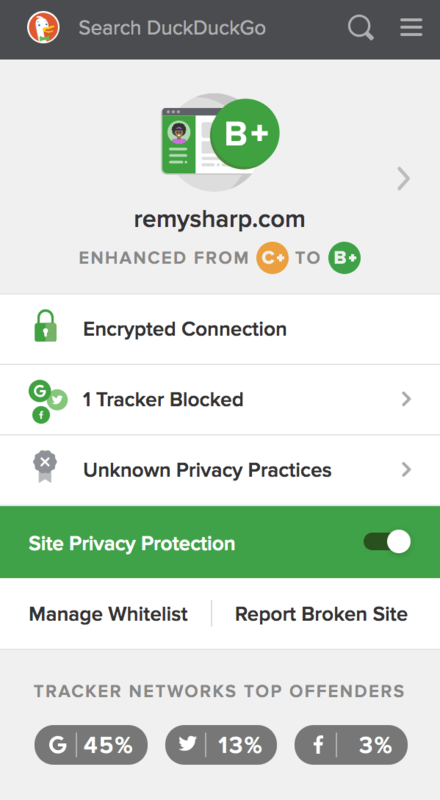 Recently I've been using the DuckDuckGo browser extension that gives me a web site privacy score but also the number of trackers (blocked) on the web site which I've enjoyed getting insights on what has been blocked. Seeing trackers surfaced in this way made me aware that by including a "here's me on Twitter" on my own blog, I was unwittingly giving Twitter tracking powers from my own site. What's interesting is that I was never aware that adding this widget to my site would give Twitter this power over my unsuspecting visits. And it's kinda not okay. 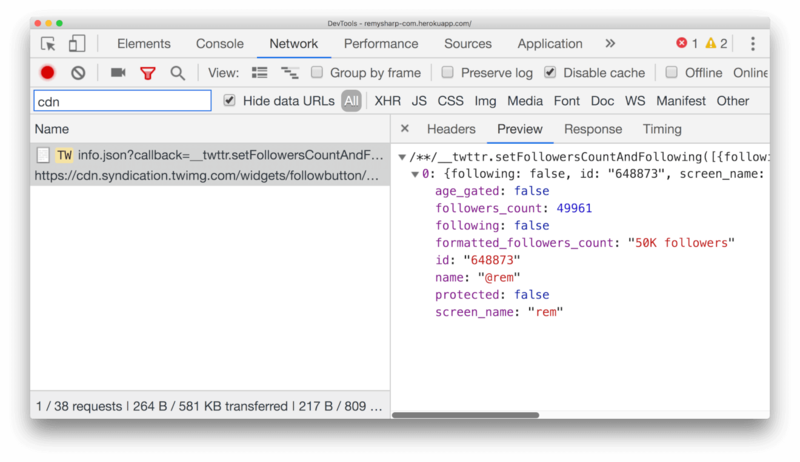 In my blog software refactor I decided to keep the functionality of letting people follow me, see my follower count and keeping the style, but drop the unsolicited tracking. What we're interested in here is the follower count. Since these numbers don't change a great deal, don't mean a great deal and are ultimately hidden in rounding - a single build (for me) every fortnight is fine (I publish at least two blog posts a month). Though you could schedule a rebuild of your site once a day using other services (I've start on cron.jobs to do similar tasks, but it's far from public yet). Now this process is part of my static build which is generated on Netlify, I then expose the raw Twitter values in an accessible way. "prebuild": "curl https://cdn.syndication.twimg.com/widgets/followbutton/info.json?lang=en&screen_names=rem > _data/twitter.json"
According to 11ty's data docs, the Twitter stats will be available in global twitter property in your templates. Now it's a matter of implementing the look and feel. The empty <i> and <u> elements, I believe` are being used for styled blocks - though I'd loved to remove these entirely if possible. Now a dash of CSS, note that this syntax is less - which in this case is CSS with nesting, and aside from the &.<selector> where & refers to the current scoped selector, it should be fairly regular CSS - provided as a download for brevity. I shifted the blue down to #31759f and that minor change also puts more control into my hands now that I'm managing the CSS that renders the Twitter widget. And that's really it. One less tracker on my site for my visitors. Posted 2-Apr 2019 under code & web.